You further agree by usage of ShrimpNFishFlorida™.com or any web site or forum owned, operated, licensed or controlled by NauticalGator LLC to hold NauticalGator LLC’s harmless and to indemnify NauticalGator LLC. against legal responsibility or liability for any actions. For complete usage and information see our copyright pages below. You agree to be responsible and to manage your own profile and mail settings upon registration or thereafter. You further agree to abide by our forum rules. In terms of section 11 of the Electronic Communications and Transactions (ECT) Act 25 of 2002 and the common law of contract, these Terms and Conditions are valid, binding and enforceable against all persons that access the Shrimpnfishflorida.com website ("the website"), web pages / forums or any part thereof. If you do not agree to be bound by these terms and conditions you must leave the website / forum immediately as further use will automatically bind you to these terms and conditions. Access to this web site and use of the forums and other services offered here are subject to the terms and conditions of this user agreement and copyright notice and all applicable laws and regulations, including laws and regulations governing copyright and trademark. By accessing the services, you accept, without limitation or qualification, all of the terms and conditions in this user agreement. Shrimpnfishflorida.com reserves the right to change these terms and conditions at any time. The changes will appear on this screen. By using the services of this web site, you agree in advance to accept any changes. Shrimpnfishflorida.com is governed by Administrators and Moderators (Shrimpnfishflorida.com Staff). Users must obey and respect the directions and decisions of moderators at all times. Failure to do so may result in disciplinary action, including the suspension or removal of membership status. The removal/banning of a member is at the sole discretion of the moderators and administrators of Shrimpnfishflorida.com. Shrimpnfishflorida.com reserves the right to refuse or revoke membership status to anyone for any reason, without explanation. You agree not to post or transmit any unlawful, harmful, threatening, abusive, harassing, defamatory, vulgar, obscene, profane, hateful, racially, ethnically, degrading, sexual or otherwise objectionable material of any kind, including, but not limited to, any material which encourages conduct that would constitute a criminal offence, violate the rights of others, or otherwise violate any applicable local, state, national or international law. You will be responsible for, and indemnify and hold harmless Shrimpnfishflorida.com and representatives against, any claim arising from any material that you post or transmit. We reserve the right to reveal your identity (or whatever information we know about you) in the event of a complaint or legal action arising from any message posted by you. You further agree not to post or transmit any content posts, video's, photot's, emails, PMs (Private Messages) of ANY text, messages, conversations, screenshots of any private messages, or any other, on any other site, social media site, or on or through any other internet site(s), without exspress writen permission. As a club and/or forum member you agree that if you take any photos or videos at any club event, outing, trip or anyother event or activity, you agree to and grante and transferred to NauticalGator LLC full ownership rights of any and all photos/videos copyrights, films, digital files, etc… even if you took said photos, videos, films, files etc… and they upon signup you agree to the below Work for Hire Barter Agreement. 1. Company agrees to pay / Barter Photographer in consideration of all services rendered by Videographer, for the privledge and useage of said forum, and the creation of any photos or videos taken at any club event, outing, trip or anyother event or activity of said club, forum or said owners of said club and forum, as set forth below the total amount of Barter for Services Rendered. 2. Videographer acknowledges and agrees that all Video Footage and Images for this work and any future works by Videographer are proprietary works of Company. To the extent permitted under applicable law, all Images shall be considered a Work Made for Hire (as such term is defined under the Copyright Act, 17 U.S.C. §101 and following, as amended) by Videographer for Company, and as such, shall be exclusively developed for the benefit of and owned by Company. Company shall exclusively own all worldwide right, title and interest in and to the Images, including without limitation copyrights. 3. To the extent that it should be determined that any of the Images do not qualify as a Work Made for Hire under U.S. law, Videographer hereby irrevocably assigns and transfers to Company all of Videographer’s worldwide right, title and interest, including without limitation all copyrights, whether now existing or hereafter acquired, in and to all Images. Videographer agrees to cooperate and take all action reasonably requested by Company, including executing and delivering to Company all documents, or providing information pertaining to the Videos, Images, in connection with the assignment of Videographer ’s rights to Company under this Agreement. Specifically, but without limitation, Videographer agrees to assist in filing copyright applications in the United States or elsewhere if necessary. Any breach will be considered a breach of contract, All parties agree to be heard in small claims court for all practical purposes, and that the damages will be $5,000.00 for breach, Plus all reasonable legal costs. all actions brought shall be in the jurisdiction of the State of Florida, Volusia County district courts. You further agree not to sign up under second account, another account, fictitious account, or under any other name or profile name or other, and start posting anything discrediting about the site, any moderators, administrators, owners or members, or use the Service to submit or link to any Content which could be considered defamatory, abusive, hateful, threatening, spam or spam-like, likely to offend, contains objectionable content, contains personal information of others, make any statements true or false, which could be considered defamatory, objectionable, or posted to discredit or sound like it’s discrediting, the site, moderators, administrators, owners or members, in any way, in doing so you agree to these terms and indemnify NauticalGator LLC and or its owners if a lawsuit if brought against you, and further to hold NauticalGator LLC, and it’s owner’s harmless against any legal responsibility or liability for any of your actions brought against NauticalGator LLC, and it’s owner’s. If you violate these terms, you agree to pay no less than $5,000.00 in damages, (regardless if complaint or claim is brought or not) even if filed in small claims court. Plus all reasonable legal fees, costs, expenses. And you further agree that any and all actions brought shall be in the jurisdiction of the State of Florida, Volusia County district courts. You acknowledge that Shrimpnfishflorida.com does not control the information available on the message boards, chat rooms and other user and member-generated pages and that any opinions, advice, statements, services, offers or other information or content presented or disseminated on any bulletin board, chat room or on any other user or member-generated pages are those of their respective authors who are solely liable for their content. Although Shrimpnfishflorida.com may from time to time monitor or review discussions, chats, postings, transmissions, message boards and other user and member-generated pages on this web site, neither Shrimpnfishflorida.com nor any of its agents, representatives or licensers is under any obligation to do so. Shrimpnfishflorida.com reserves the right, in its sole discretion, to refuse to post or remove any material submitted to or posted on the message boards. Political or religious posts by their nature can become very controversial and therefore are subject to removal at any time in order to avoid potential "flame" wars. The member-generated content of this web site contains information, facts and opinions from various individuals and organizations. They are provided on an "as is" basis without warranties of any kind, either express or implied, including but not limited to warranties of title or implied warranties of merchantability or fitness for a particular purpose, other than those warranties which are imposed by and incapable of exclusion, restriction or modification under the laws applicable to this agreement. Neither Shrimpnfishflorida.com nor its affiliates endorse or are responsible for the accuracy or reliability of any opinion, advice or statement on the service or the sites. Any communication or material you post or transmit is, and will be treated as, non-confidential and non-proprietary. You assume full responsibility for anything you post or transmit, and you grant Shrimpnfishflorida.com the right to display this material on its web sites / forums. Shrimpnfishflorida.com makes no ownership claims to any material you post or transmit and agrees that all submitted materials, text, graphics and files remain the sole property of their creator. Shrimpnfishflorida.com reserves the right to refuse or terminate membership where the activities, actions or statements of an organization or person may bring Shrimpnfishflorida.com into disrepute or otherwise deemed not to be in the best interest of Shrimpnfishflorida.com . Every member of Shrimpnfishflorida.com agrees to conduct themselves in a manner that does not bring the forum into disrepute. You are permitted a maximum of one account, active or inactive, regardless of how many companies/persons you represent. If you choose to ignore this important restriction, all of your accounts will be disabled. Shrimpnfishflorida.com allows one account per member and one member per account. Your account is yours alone. You are responsible for any activity created with it. You may not share your account login with anyone. If you choose to ignore this important restriction your account, and any accounts associated with it, will be disabled. Username changes are not allowed. If you bring suit, propose to sue, or infer legal action against Shrimpnfishflorida.com or its staff, your account may be disabled and any company related accounts may face restrictions. Your use of this web site is at your own risk. Neither Shrimpnfishflorida.com , nor any of its agents, representatives or licensors shall be liable to you or anyone else for any loss or injury or any direct, indirect, incidental, consequential, special, punitive or similar damages arising out of your access or use of, or your inability to access or use, the services of this web site and the information available on this web site or arising out of any action taken in response to or as a result of any information available on this web site. You hereby waive any and all claims against Shrimpnfishflorida.com arising out of your use of the services of this web site and the information available thereon. Shrimpnfishflorida.com does not review or monitor any web sites linked to the member-generated content of this web site and are not responsible for the content of any such linked web sites. Your linking to such web sites is at your own risk. We will not offer any information about you to any company or individual unless under court order to do so. However, you should be aware that if you voluntarily disclose personal information (e.g., name, email address, phone number) on a bulletin board, chat room or on any other user or member-generated pages, that information can be collected and used by others and may result in unsolicited messages from other parties. Users of this website hereby agree to also abide by the Shrimpnfishflorida.com Commercial Posting policy and Posting Rules and Etiquette policy outlined below. Sponsors and 3rd party sellers (such as fellow Shrimpnfishflorida.com subscribers) on this site sell their products as part of their own business or interests. Therefore members should research and verify any claims made by any seller of goods and services for their own protection. Shrimpnfishflorida.com cannot be held responsible for any failure, defect, inaccurate descriptions, inaccurate performance guarantees or inaccurate promises for any products or services initiated and concluded here on Shrimpnfishflorida.com . Shrimpnfishflorida.com reserves the right to refuse any application for sponsorship or to refuse any application for advertising on any grounds or for any reason and to impose such conditions as it may deem advisable in its sole and absolute discretion in the best interests of Shrimpnfishflorida.com . Shrimpnfishflorida.com also reserves the right to withhold disclosure of the reason of any refusal of any application. Shrimpnfishflorida.com reserves the right to terminate a sponsorship/advertising contract with immediate effect and without notice if it is deemed that the actions or conduct of the business undertaking the advertising contract are bringing the name of Shrimpnfishflorida.com into disrepute. This will include any illegal business activities that infringe on or break Shrimpnfishflorida™Civil laws and any conduct deemed to be unbecoming of what is expected from a sponsor/advertiser. Such conduct will be reviewed by an administrative panel after which a contract can be terminated without prejudice. Furthermore no financial compensation will be granted in terms of pro-rata fee structures for the period of the contract. Examples of these actions or conduct could be consistently bad service, stock conditions, SNFF member complaints, quality, and general Bulletin Board behavior. This is obviously not an exhaustive list and each case will be considered individually. Shrimpnfishflorida.com does not host any vendor feedback forums as they tend to spiral out of control quickly due to many different personal experiences with vendors or sponsors (or private parties) amongst the whole community. As such, it is against Shrimpnfishflorida.com 's policy to air out one's issues about sponsors, local stores, or private deals which have been made or may have gone bad. We would ask all those who have issues like this or similar in nature to work these kinds of problems out in private. Shrimpnfishflorida.com staff retains the right to retain or remove such posts from the general forums. This User Agreement and any disputes arising out of or related to the services of this web site shall be governed by, and construed and enforced in accordance with, the laws of the State of Florida, County of Volusia / Orlando of Federal. The entire content included in this site, including but not limited to text, graphics or code is copyrighted as a collective work under the Shrimpnfishflorida™ and other copyright laws and is the property of Shrimpnfishflorida.com . The collective work includes works that are licensed to this website. Copyright, Shrimpnfishflorida.com ALL RIGHTS RESERVED. Permission is granted to electronically copy and print hard copy portions of this site for the sole purpose of your own non-commercial and non-public use. You may not display, download or print portions of any material from the different areas of the site, unless solely for your own non-commercial use. Any other use, including but not limited to the reproduction, distribution, display, copy and paste or transmission of the content of this site is strictly prohibited, unless authorized by Shrimpnfishflorida.com . You further agree not to change or delete any proprietary notices from materials downloaded from the site. Anyone can read and search the forums, but you must be a registered member to post. Please be aware that you are a guest on a privately-owned site. Posting here is a privilege that we hope you will enjoy and respect, bearing in mind that this forum is actively used by both children and adults. By posting on this forum, you agree to observe the following guidelines, as well as our User Agreement and Commercial Posting Policy. You further agree to abide by our forum rules. This is a moderated forum. We expect this forum to be a place where people can feel comfortable asking questions and where debates and discussions are conducted in civil tones. Please respect your debating opponents. Debates are about issues, not people. If you disagree with an idea, go ahead and argue your case against it, but do not confuse ideas with the person posting them; at all times we must conduct ourselves in a respectful manner to other posters. Attacks on individuals, insults, name calling, trolling, baiting or other attempts to sow dissension are not acceptable. If you feel that someone has attacked you or otherwise violated the policies of this forum, do not respond in kind. Instead, contact a Moderator by PM or report the offending post asking for it to be reviewed. Please remember that any poster can edit their own posts after submitting them, so comments made in haste can be rephrased. If you saw read and realized later that you should have counted to ten before posting, consider rephrasing. post in a way which is consistent with "normal writing"
Bad Language: It is a bad idea to use such language. Foul language is hardly ever acceptable in mature public conversations, such as most forums are intended to be. If you are prone to the use of foul language in your life off the forum (as many of us are) it is probably best to proof read your posts until you get in the habit of not using such language. In order to avoid the inevitable frictions that arise from these topics, political or religious posts and comments are prohibited. There are many different religions as well as cultures making use of the forum and they need to be respected. Doing so may lead to you being immediately and permanently banned (and your service provider being informed). The IP address of all posts is recorded to aid in enforcing these conditions. You agree that the Webmaster, Administrators and Moderators of this forum have the right to remove, edit, move or close any topic at any time should they see fit. As a user you agree to any information you have entered above being stored in a database. While this information will not be disclosed to any third party without your consent the Webmaster, Administrators and Moderators cannot be held responsible for any hacking attempt that may lead to the data being compromised. The free and open exchange of assistance, ideas, and opinions is highly regarded and encouraged on the forums, but it must be noted that the freedom granted to forum members is relative freedom. It exists within the boundaries and constraints of the above guidelines and principles. Complaints of 'censorship' are therefore baseless and unfounded, since this necessary framework must simultaneously provide reasonable limitations. We don't intend to censor messages based on the opinions expressed within posts, but we will enforce the policies outlined both here and on the Forum. We reserve the right to remove, modify or move posts at our discretion and without explanation. We reserve the right to modify and amend these terms at any time without notice. 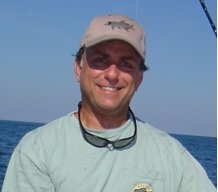 It is your responsibility to remain informed of current Shrimpnfishflorida.com policies. We do not monitor private messages. But we will investigate all allegations of PM abuse. We further, reserve our right to disable any account at any time for any reason and without notice. Finally; any abuse towards our staff and/or management in any form, may result in immediate suspension of your account. These terms and forum rules may be changed at any time without notice. © COPYRIGHT / SERVICE MARK / TRADEMARK NOTICE: by our "ShrimpNFish™" Family… Copyright 2013 - 2017 ShrimpNFishFlorida™, FishNShrimpFlorida™, by Gator Management Services.™, Nautical Gator, LLC..™ A People Company! All Servicemarks, Trademarks, Slogans, ©Copyright's, names, photo's, artwork, logo’s & trademarks are the property of our "ShrimpNFish™" Family... All artwork was designed for ShrimpNFishFlorida™. And may not be reproduced in any manner whatsoever... for more info on Copyright Servicemarks, Trademarks, and terms of site usage. click here! [All Rights Reserved ].